Stripes, to me, are an absolute wardrobe staple. I’ve always preferred striped tops to plain ones, especially in the t-shirt department. 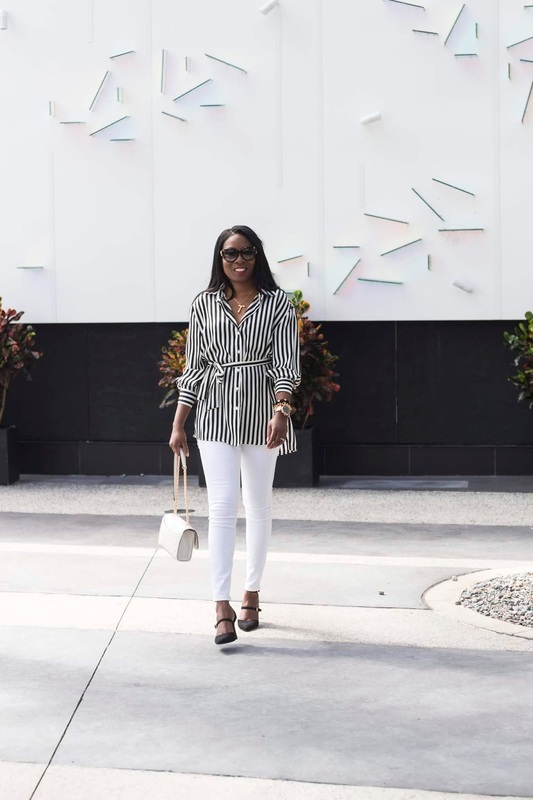 Striped button-downs tend to work well for all occasions; from business meetings to a night out on the town, they are super-easy to style and are always a classic. Thanks for all this black and white inspo! This is just perfect! I think black and white stripes are so elegant! Such a great look! Love the stripe shirt! I love this striped top babe! So cute, and love the heels! This is such a cute striped top! I love it! Loving the stripes on you! This is such an elegant look! Gorgeous! This is such a cute look! 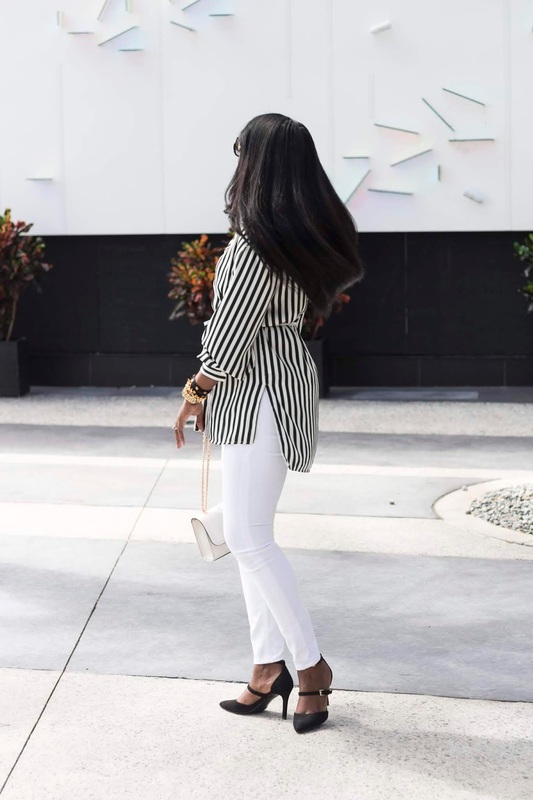 I love the striped top, and those heels! Target has been killing it lately! Love this top and the similar ones you picked! That blouse is just too chic for words! I'm beyond in love with the stripes and belted waist! 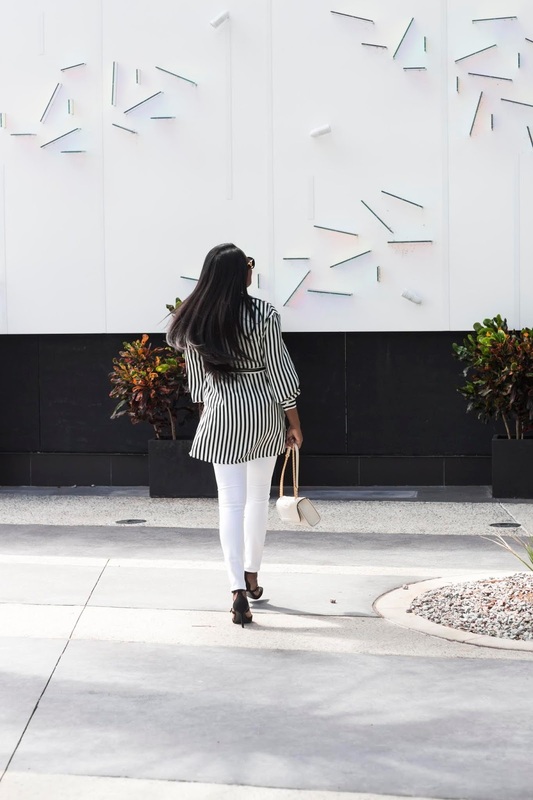 Stripes are one of my favorite trends! I love how you paired them with those fabulous white pants! Such a good look! OMG!! I have that watch on rose gold and I love it. I like how you paired it with those bracelets. Cute outfit btw. 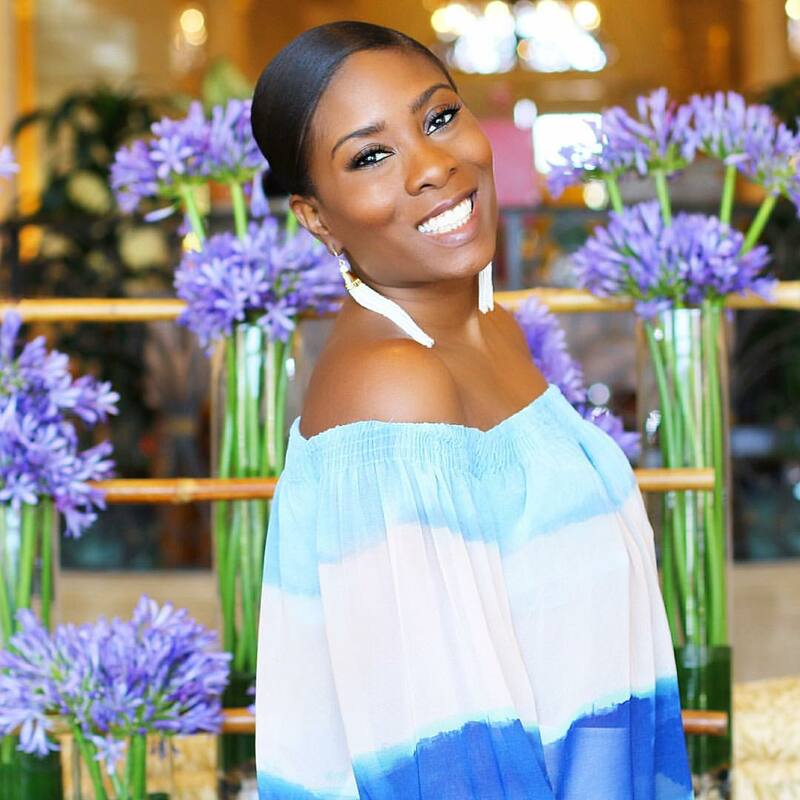 This is gorgeous on you! Loving this look so much - that top is everything! i love stripes! love this look on you! Stripes are a classic! 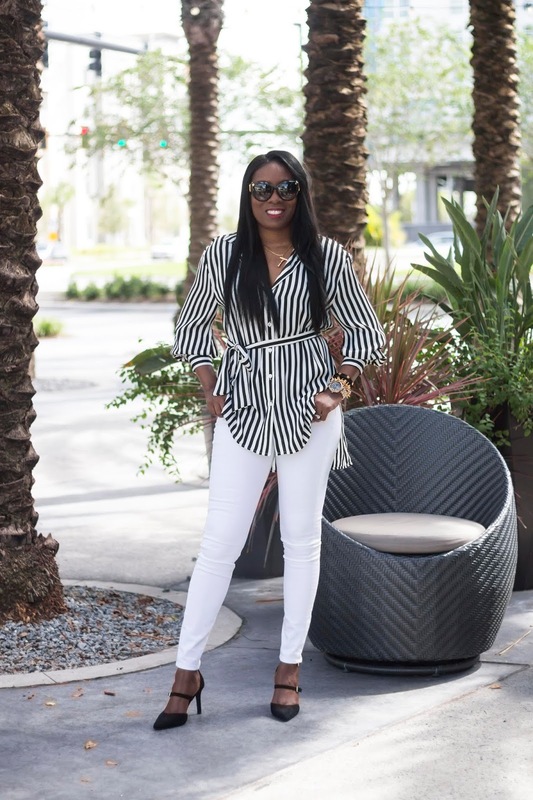 I love this vertical striped blouse on you! I love a striped look. This tunic is perfect and love how you wore it. I'm loving this striped look! Stripes do you very well! I live and stripes and totally agree that they are definitely a wardrobe essential! Love the outfit you styled, such a classic and chic look!